BlackVue are the world's leading dash cam manufacturer, a true pioneer in shaping the way that the best dash cams have developed and aided drivers on roads, tracks and trails across the globe. As one of the first true specialists in car dash cams and car dashboard cameras, Blackvue have set the standard for dashcam technology ever since their inception over a decade ago. By embracing cloud technology and the world's demand for quick, easy media sharing, BlackVue have earned themselves a loyal customer base which stretches across the globe, from America to Africa and now, Australia. Because of their reputation for quality which has outstripped many of the world's biggest players in camera and electronic goods, BlackVue Dash Cams are trusted by some of the world's most prestigious racing and driving showcases for use in their vehicles, including the Formula Drift series. Why Should I Choose Blackvue? 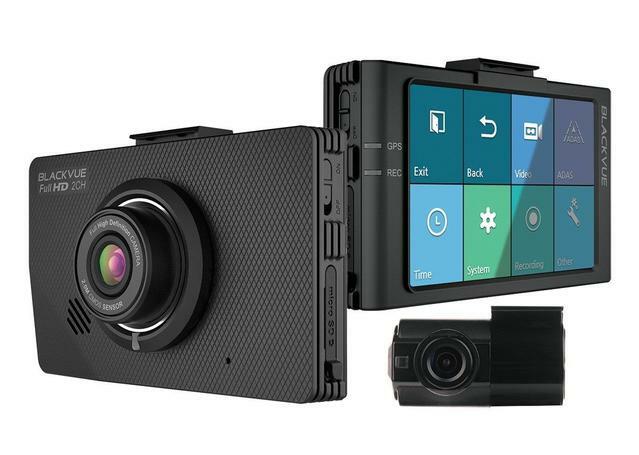 BlackVue Dashcams have revolutionised the way people think about and use their car dash camera. Once simple devices which recorded low-quality video onto an SD card, Blackvue have helped the humble dash cam come into 2016 and beyond with Wi-Fi and GPS integration Full HD recording, 1 and 2 channel usability, and most importantly the introduction of cloud based storage for all dash cam footage. Through the use of the cloud, Blackvue Dash Cams now record footage that's accessible from any device, any time, anywhere. Sparesbox has partnered with Blackvue to deliver BlackVue's full suite of dash cams, many of which feature the same revolutionary technology as we detailed above. With the BlackVue DR650S, BlackVue DR450, and BlackVue DR490L available in 1 and 2CH options, we can safely say that we have all bases covered when it comes to delivering the best Dash Cams to Australia's drivers. Each of these dashcams offer cloud access and seamless integration with the BlackVue App on iPhone and Android, as well as full WiFi + GPS Capability, Full HD recording, motion and impact detection and incredibly simple installation.